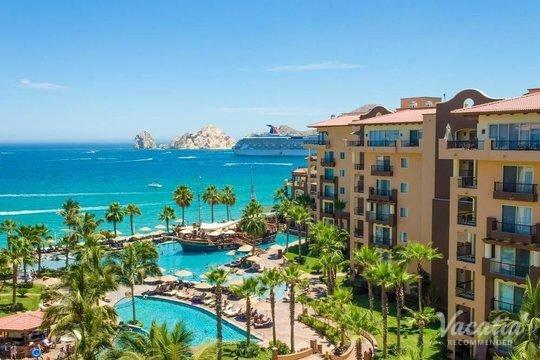 As the most popular beach in Cabo San Lucas, Medano Beach offers sun, fun, and excitement. With its beautiful shore, wide range of activities, and unparalleled party atmosphere, it is the perfect place to watch your worries float away. One of the most important parts of your vacation will be your accommodation. You can use a search engine to find all kinds of lodging in Medano Beach, but it might not always be quite what you had in mind. 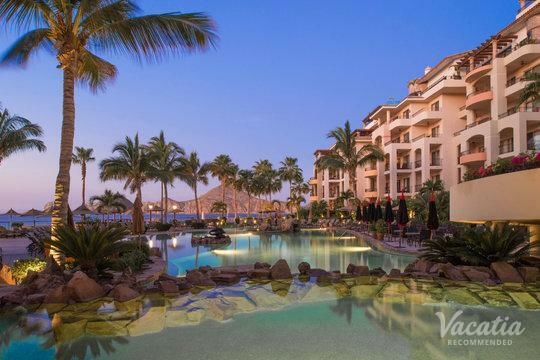 When you work with Vacatia, however, you'll be able to find Medano Beach all-inclusive resorts quickly and easily. All of our Medano Beach villas have been highly recommended, and our friendly online staff is always available to answer any questions you might have. When you book with Vacatia, you'll have the peace of mind of knowing exactly what to expect before you leave home. 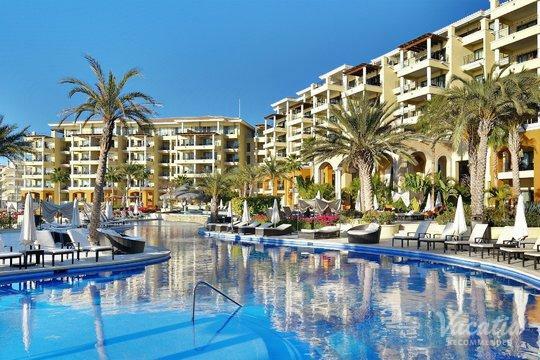 When you start looking for Medano Beach hotels or other accommodation in the area, you might be looking forward to all those high-end services and benefits. On the other hand, you might be hoping to enjoy the comforts of home during your stay. If you want the best of both worlds, you should book with Vacatia. Our resort residences combine home comforts with resort-style services. You'll get your own kitchen, living room, dining room, and often an in-unit washer/dryer. This means that you can prepare your own meals to save on food costs, hang out with your loved ones in your own space, and do a quick load of laundry to keep things light and fresh. At the same time, you'll get tons of on-site services and amenities, including restaurants, spas, concierge check-in, daily housekeeping, fun pools, and more. Medano Beach is where you want to be. 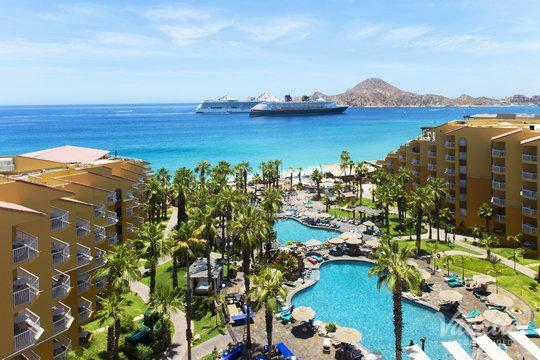 It is Cabo San Lucas' beating heart, and it delivers more fun and excitement than any other place in Baja California. You'll find countless things to do and see during your stay in Medano Beach. All-inclusive resorts, villas, hotels, nightlife, activities, tours, spas, beach clubs, and more can be easily accessed on foot. Medano Beach is Cabo at its best. This place is all about pleasure, beauty, and relaxation. The splendor of the Sea of Cortes can only be truly appreciated in person. Palapa bars offer all manner of cold drinks, quesadillas, burgers, and seafood. Every Tuesday night, you'll find the Fiesta Mexicana at the Pueblo Bonito Blanco restaurant. There are also many stalls that sell a range of water activities, including parasailing, kayaking, and jet skiing. At the end of each fun-filled day, you can rest and relax in one of our Medano Beach resorts, hotels, or villas.